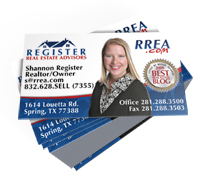 Our standard business cards are offered in 14 PT and 16 PT premium card stocks. 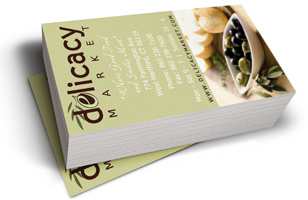 You will be impressed with the vibrant colors and the lasting impression that these cards generate. 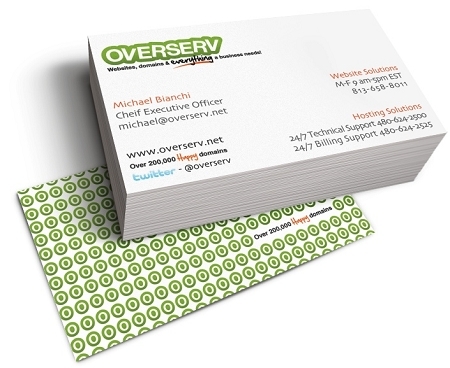 The business cards can be matte, laminated on both sides for extra protection, or laminated on the front only to allow you to write on the back of the card. Received today. Seriously, a beautifully made card. Very impressive. Really really love the curved corners. Thank you again for your work with these. The new cards were a hit at the QR code seminar I did this morning in New Haven. It really helped that they had a QR code to my bio page on them. :) Thanks so much for turning my order around on such short notice so I could have them this morning. Totally worth it! And I'm so impressed with the quality of the stock and at no extra charge, no less. Highly recommended. 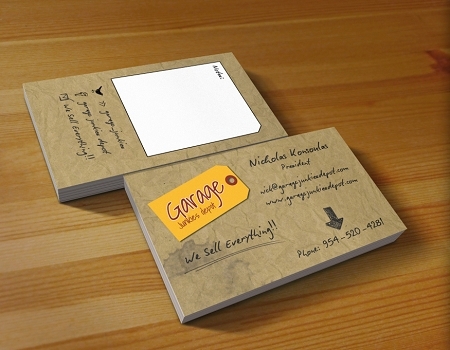 While I designed the card myself, Other Designs printed these standard business cards. The quality was excellent. I had asked for spot coloring my logo and it was precisely done to meet and exceed my expectations. I wholly recommend Other Designs for all your printing needs. Fantastic company to work with and amazing turnaround. Final product matched the desired design. Highly recommended and will happily do business with again.